Oshi Casino is a new NetEnt Casino running off a SoftSwiss NV platform with a licence from Curacao. 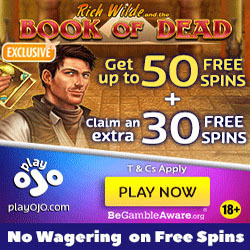 Oshi Casino was started by Nick Garner who has worked in the iGaming industry for many years at Betfair and UniBet. He decided to use his iGaming experience to produce the type of casino that players will enjoy playing at for the long term. 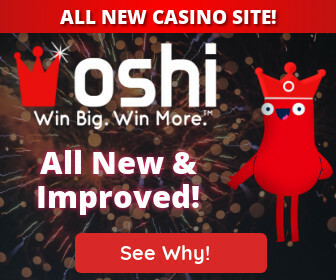 The Oshi Casino site greets you with a dark sleek interface and the first thing you see is their patented and industry first Build Your Bonus™ tool. Often times, its hard to read what the best bonus an individual player needs so at Oshi Casino, they have transferred the choice right back into the players hands with the Build Your Bonus™ tool. This means you can choose whether you want a bigger bonus and less free spins or a smaller bonus and more free spins, the choice is yours! If the Build Your Bonus™ tool isn’t innovative enough, Oshi Casino has also added a Build Your RELOAD Bonus™ tool which gives you the option to get a reload bonus of your choice every 48 hours. That’s not all, because the innovation continues with another ground breaking feature called Max Bet Protection. The Max Bet Protection feature ensures that you don’t bet over the prescribed amount when playing with bonus money. This guarantees that you will not break any of the bonus terms that can result in your winnings being confiscated. 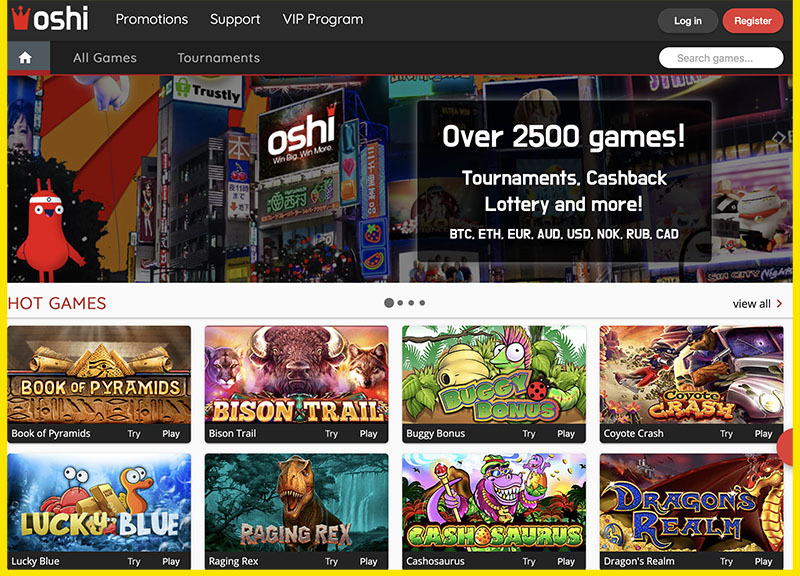 So this is a well added feature and another good thing that Oshi Casino has done for the players. Betsoft Pocket Dice Belatra Booming Games Pragmatic Play. Oshi Casino is another casino that offers all your popular currencies like euros, Canadian dollars, Australian dollars, Swedish Krona, Norwegian Krona, Russian Rubbles, US dollars and BitCoin. Oshi Casino is also sitting firmly comfortably on our Top 40 Fast Paying NetEnt Casinos list with some of the fastest withdrawal times in the industry. At Oshi Casino, you will get your winnings within minutes depending on the withdrawal option you are using. Payesafecard, Maestro, Skrill, Neteller, Visa, Mastercard, Cubits and Bitcoin. Oshi Casino is on our Top 40 Fast Paying NetEnt Casinos list. Please ensure you have verified your identity and address before requesting a withdrawal for speedy withdrawals. You can deposit using the following currencies: Bitcoins BTC, EUR, USD, AUD, CAD, RUB, SEK, NOK, CNY.